Dr. Cole performed bilateral microfracture surgery along with bilateral AMZ and ACI procedures on my knees. He and his physician�s assistants, Natalie Podboy and Kyle Pilz, have been very easy to talk to, have answered any questions that my family or I might have, and have been great people to be associated with. Prior to having surgery, I was unable to participate in sports fully but am now able to do basically all of the physical activities that I so choose. While recovering from surgery, having a positive mindset and an optimistic outlook expedites the recovery process. 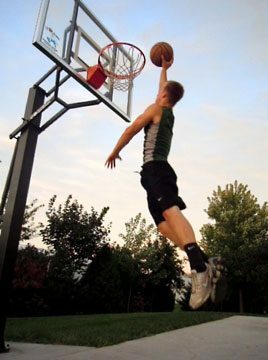 Being active has always taken a great part of my life as I have grown up playing, watching, and following numerous sports � most notably basketball, football, baseball, and golf � so being able to LiveActive again has given me more appreciation for being healthy and being able to participate in numerable sports. I am thankful for Dr. Cole and his staff�s procedures that they have performed on my knees and for their assistance throughout the process.